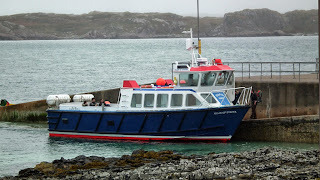 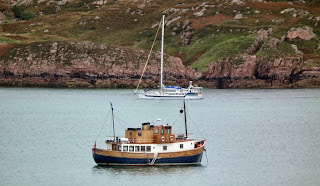 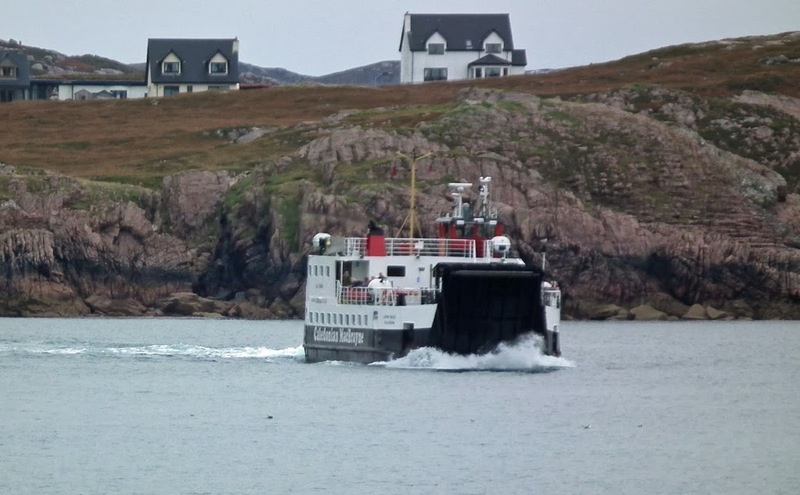 Gordon Grant's Ullin of Staffa at the Baile Mor slip 24 September 2013. 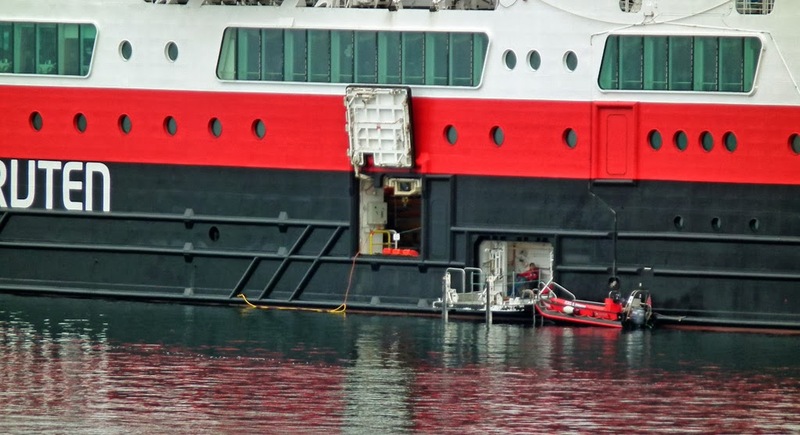 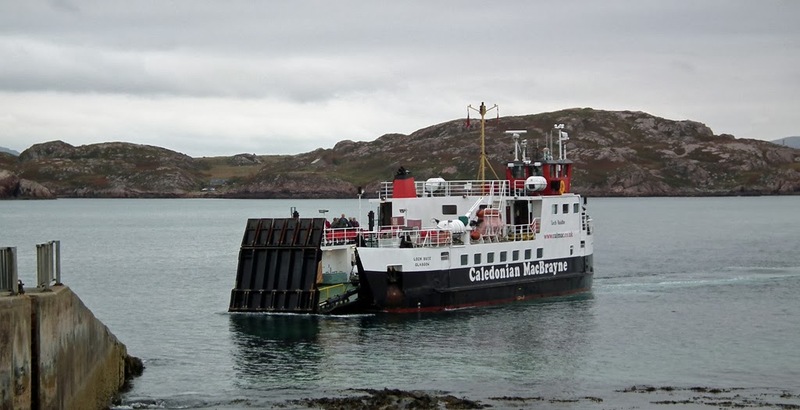 Caledonian Macbrayne's Eigg leaves her overnight berth to take up service on the Tobermory - Kilchoan run 25 September 2013. 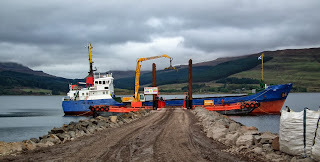 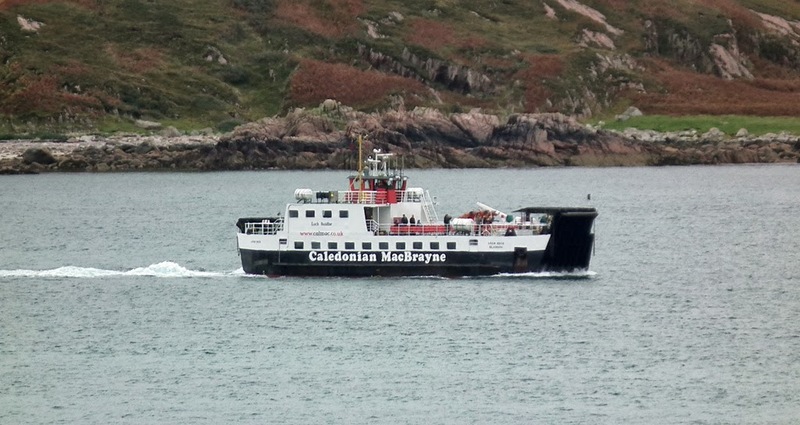 Caledonian Macbrayne's Loch Fyne leaves Fishnish on service 25 September 2013. 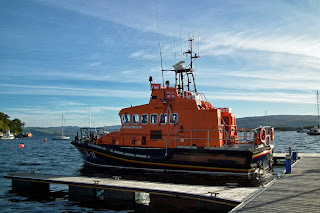 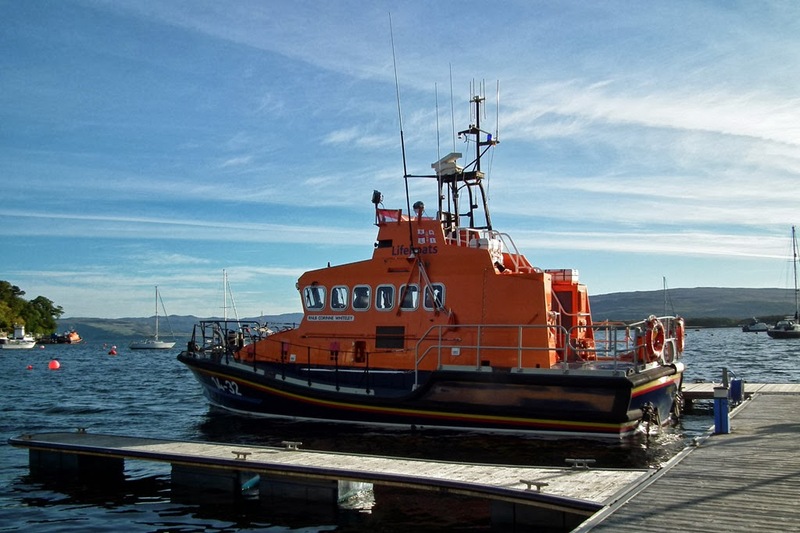 Relief lifeboat RNLB Corinne Whitely (14-32) at the pontoons in Tobermory Harbour 26 September 2013. 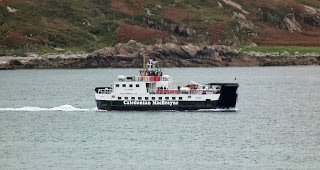 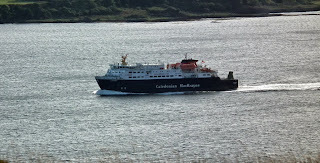 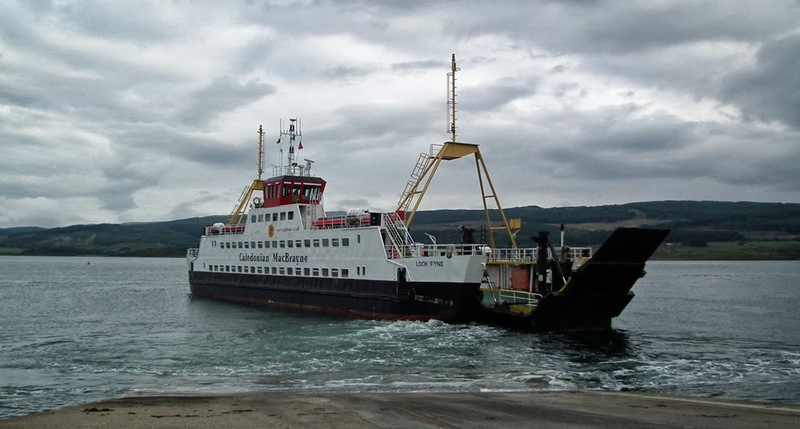 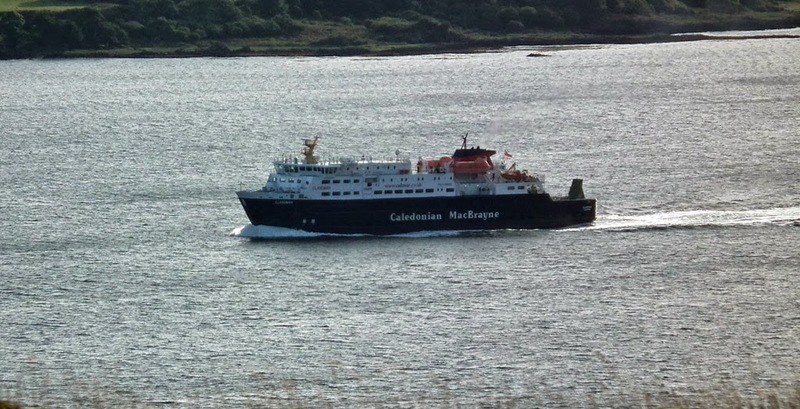 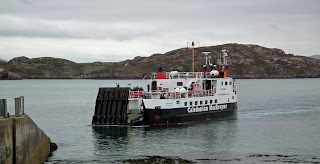 Caledonian Macbrayne's Clansman in the Sound of Mull 26 September 2013. 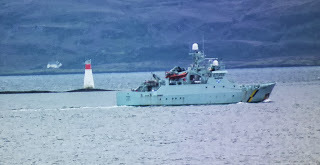 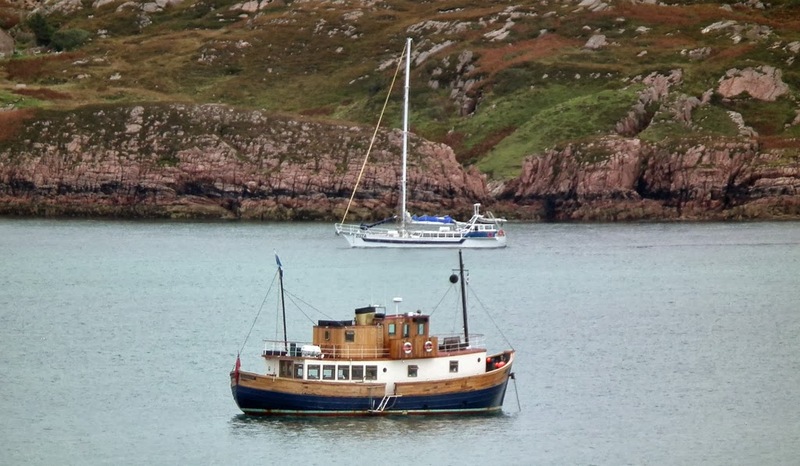 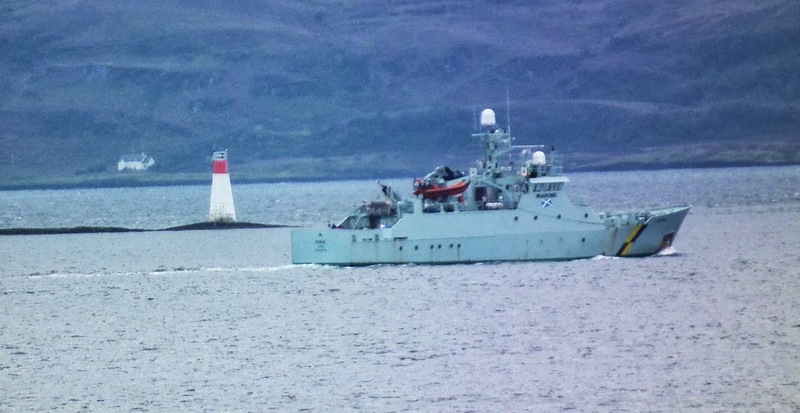 Marine Scotland's Minna passes Lady's Rock 26 September 2013. 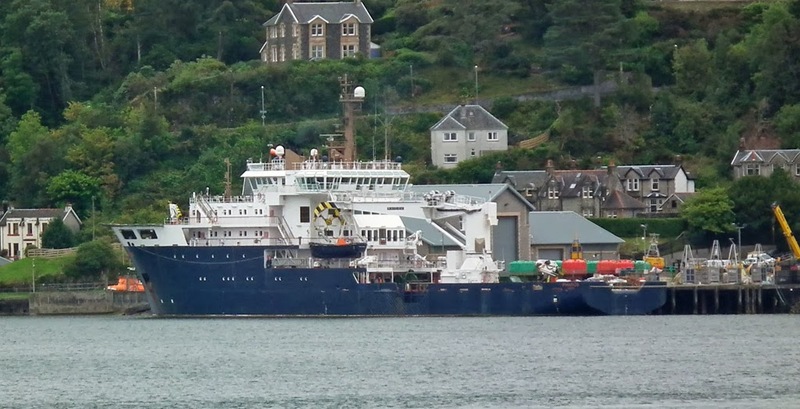 NLB Pharos at the Lighthouse Pier 26 September 2013. 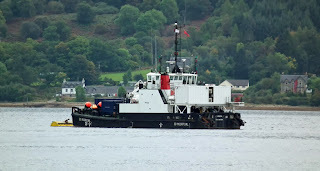 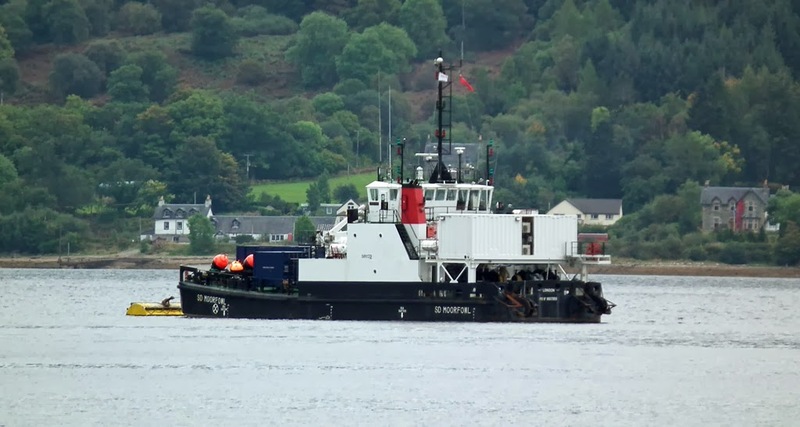 Serco's dive support vessel SD Moorfowl sports the white livery in Loch Fyne 28 September 2013.